help:      --minUptime      Minimum uptime (millis) for a script to not be considered "spinning"
help:      --spinSleepTime  Time to wait (millis) between launches of a spinning script. 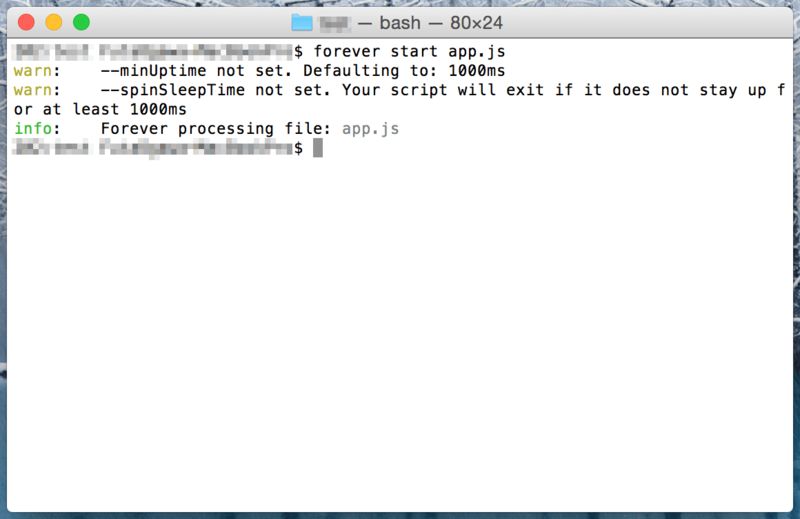 help:      The forever process will continue to run outputting log messages to the console. help:      without using nohup. It is recommended to run start with -o -l, & -e.